This summer, Konfidence have launched a brilliant competition for children under 8 years old, with some amazing prizes. All you have to do is head to the beach and create your own sand art masterpiece. How easy is that? and lots of fun too. 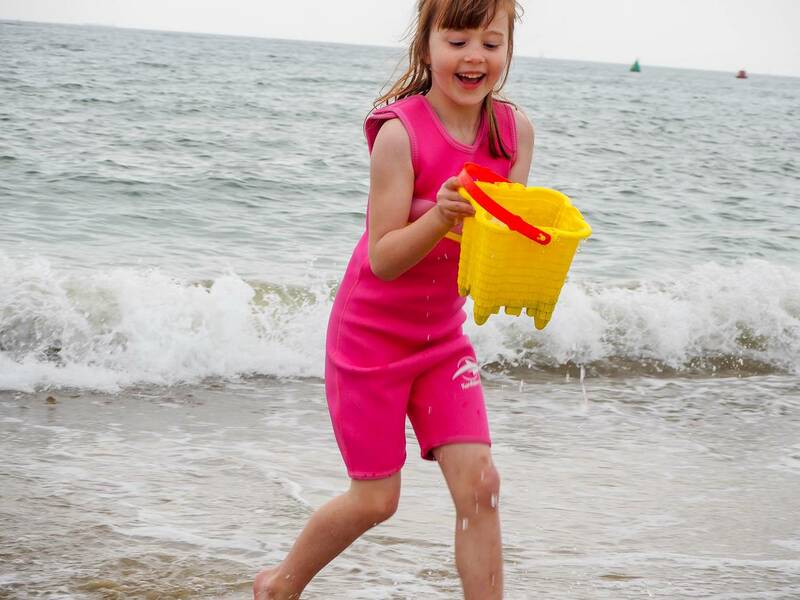 This fun summer-long competition is a chance to spark your child’s imagination and create some exciting beach themed sand art designs, from mermaids and castles to sea creatures and boats. Why not get some help from a big brother or sister, dad or grandad! It can be fun for the whole family. 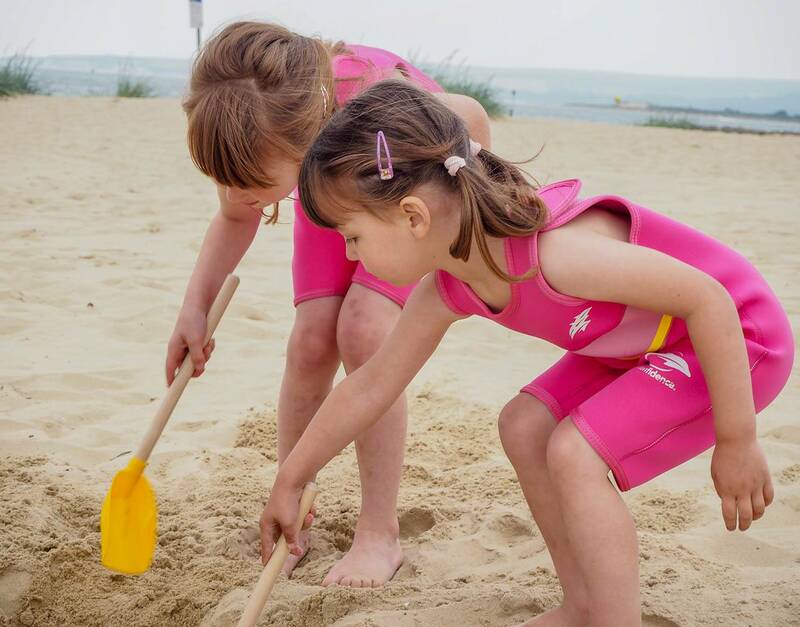 The overall ‘golden’ winner will be awarded the coveted ‘Golden’ Bucket and Spade trophy and will receive a £200 voucher from Mark Warner, a £200 Konfidence voucher, prizes from Trunki and an overnight stay at the Polurrian Bay Hotel in Mullion, Cornwall. WOW! 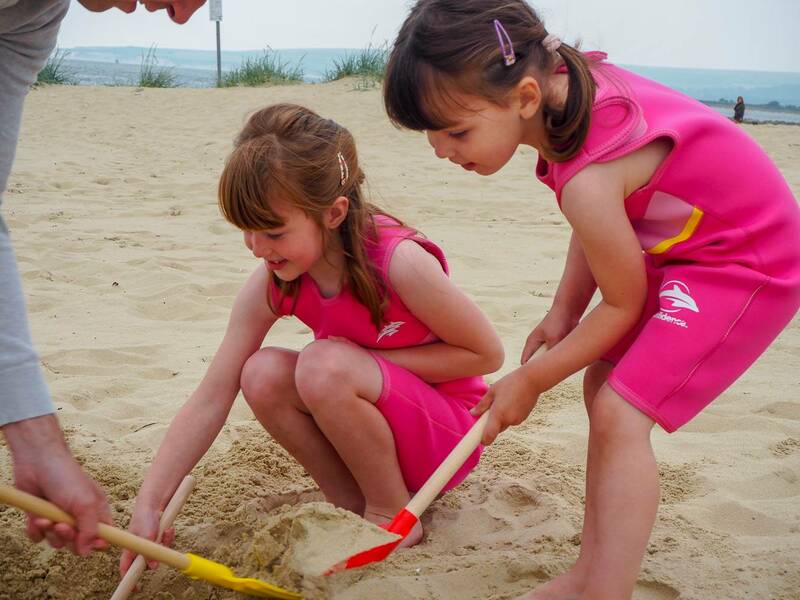 Two runners-up will then each win silver and bronze Bucket and Spade trophies as well as prizes from Konfidence and Trunki. During the campaign 12 weekly winners will also be announced who will each receive a framed certificate from Konfidence. 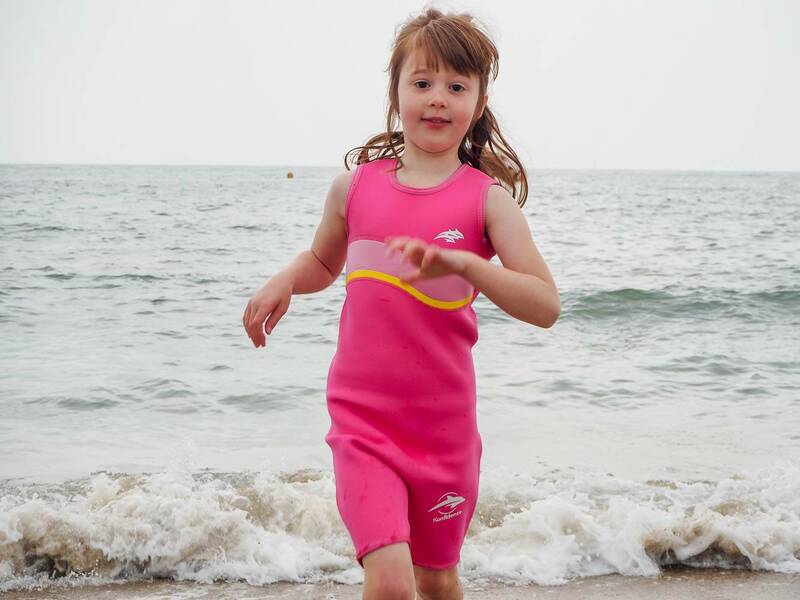 The competition is being sponsored by the Original Konfidence swim jackets, giving confidence to both parents and children when they’re around water. 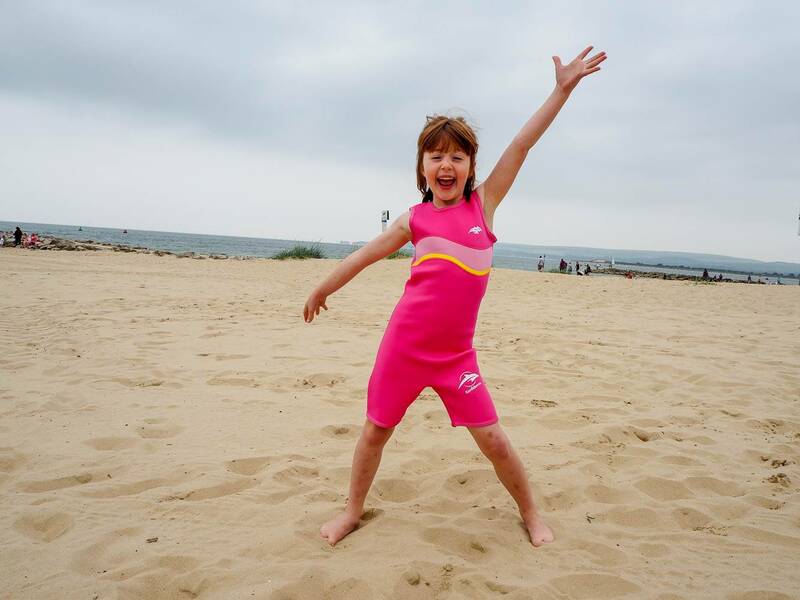 During the competition, Konfidence, who is celebrating its 20th anniversary this year, will be donating money from its sales of the Original Konfidence Swim Jacket to Cornwall Air Ambulance. Of course we had to get involved and create our own sand art. We packed up the car and headed for a day at the beach. When we left it looked like it was going to be a nice sunny day, but as we were driving it started to look very cloudy and I was worried it might not be great beach weather after all. But the girls don’t really mind about the weather, they just love the beach. As it turns out the sun burnt through the clouds and we had a wonderful time on the beach. The girls couldn’t wait to get started on building their sandcastle. 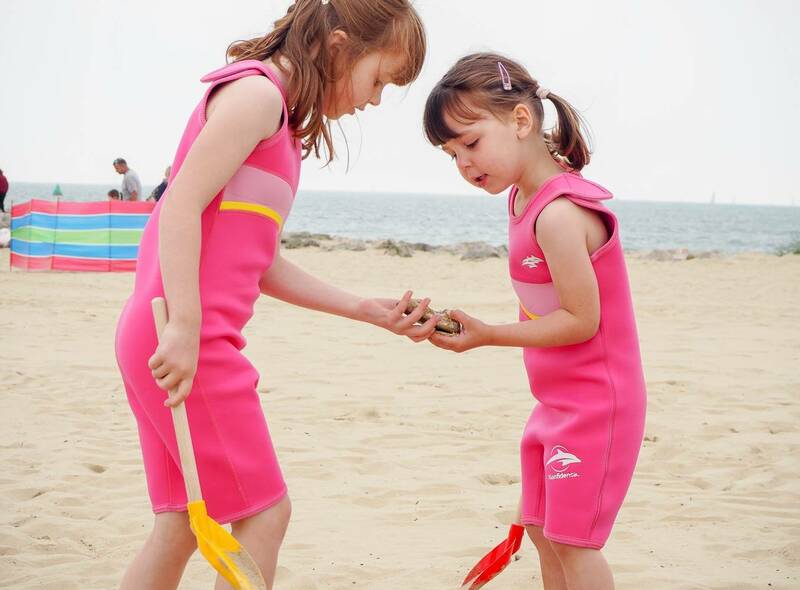 With their Konfidence wet suits on, they were all kitted out ready for the beach. Especially as I knew it wouldn’t be long until they wanted to go in the sea. 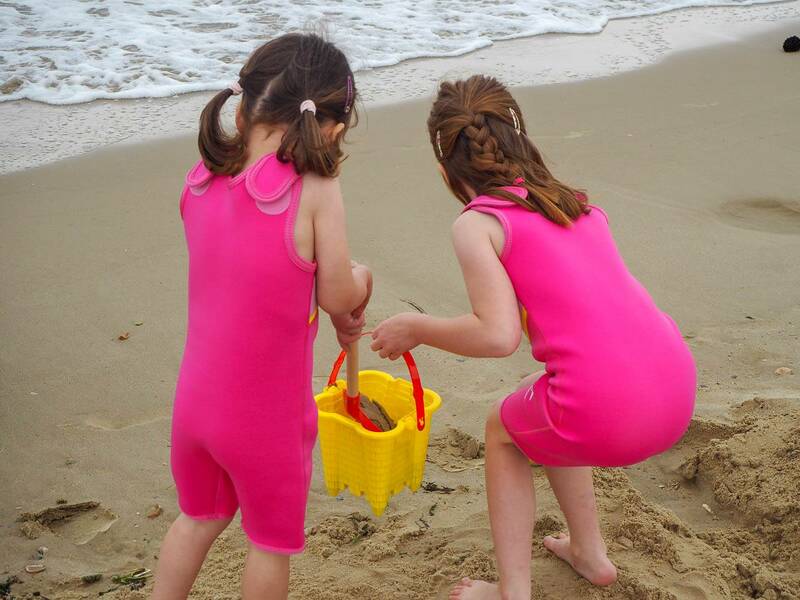 My girls know that the wet sand it what you need to make a good sandcastle and off they went to get some. I love that they worked together on building their sand art. Anyone that knows Holly, knows how much she loves sand. She spends hours in the sandpit at home and whenever we come to the beach, she can’t get enough of it. The girls were collecting shells to decorate their castle and I love this photo of them when they find an amazing stone!! 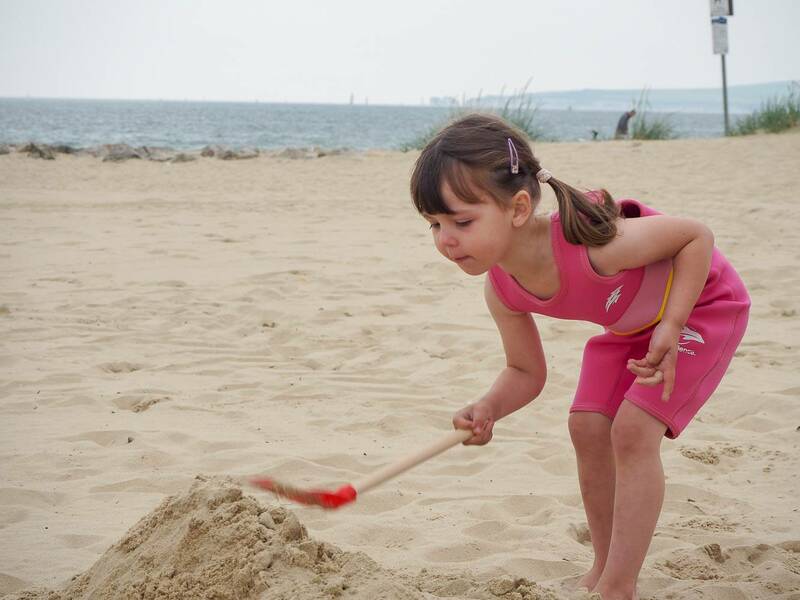 With the sandcastle ready, Alice said that it needed water around it and went off to collect some in the sea. The great thing about their wetsuits, is it keeps them warm in the water. 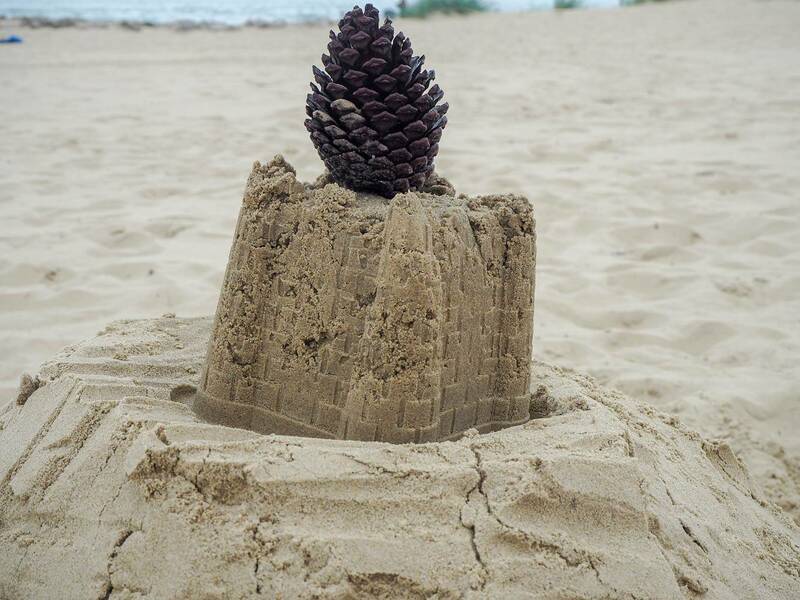 On one of the many walks up and down the beach collecting shells, Alice found a pine cone and immediately decided their sand art was going to be called…Pine Castle! 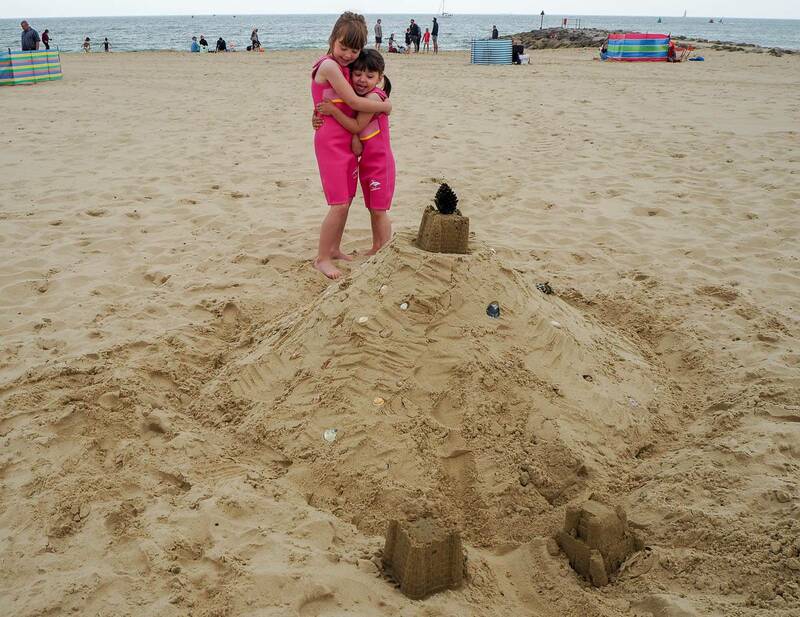 The girls had great fun building the sand castle and it was just lovely to watch them doing it together. They gave each her a celebration hug, when the finished. With the sand castle finished they couldn’t wait to have a dip in the sea! If you’re off for a day at the beach soon, why not enter the Konfidence Golden Bucket Sand Art Competition? To enter, all you have to do is take a photo of your child’s sand art and upload it to Konfidence’s Facebook page, using the hashtag #goldenbucket18. Entries open on 1st July 2018 and close on 30th September 2018. Good Luck! We had a brilliant day at the beach and it definitely won’t be our last this summer. Disclosure: We’re working with Konfidence this year as brand ambassadors. This post is in collaboration with them, however all views, opinions are my own. That’s it! We’re heading to the beach and joining in. What a fab competition and we love building in sand and making creations. Last time we made a mermaid tail out of sand! Good to know Konfidence is running this competition. I will see if I can enter it. The kids love building sand castles. Oh they look amazing! I love the colour and they look super comfy too! Fab giveaway! My son loves the beach. I on the other hand hate it. He loves building sand castles too but they never last more than a few seconds before he’s knocking them down again! Ah what a fun competition for the kids, they are all going to have great fun entering this one! Aww I love this competition each year, my two will definitely be entering when we go to the beach later in the Summer! 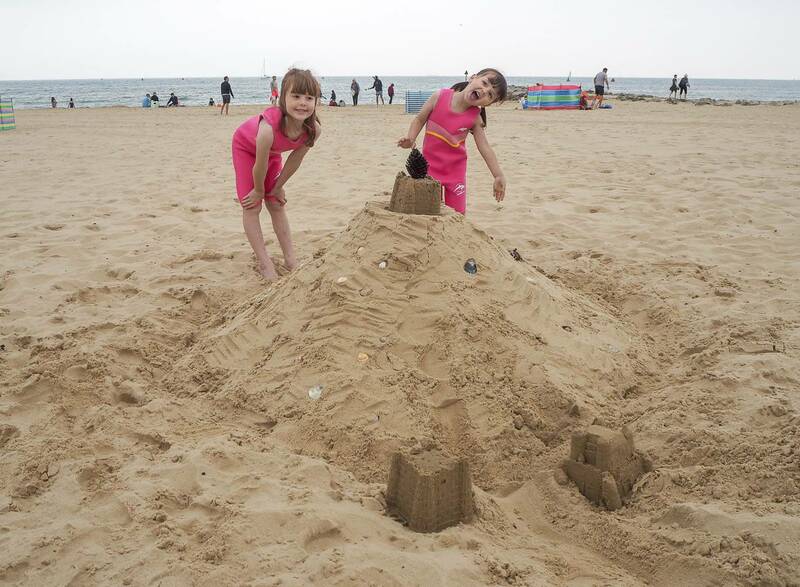 Gorgeous photos and your two did a great job of building their sand creation! Looks fab! Did you win?! ?